At the recent Athlon Outdoor Rendezvous, we caught up with RISE Armament, and got some trigger time on the new 300LE rifle. An impressive collection of well-thought out components, the 300LE is designed specifically as a law enforcement duty rifle. While we got to test out the 300LE, RISE also manufactures a .223 Wylde variant. Additionally, each of the rifles fall within the Watchman series of rifles, purpose-built as duty rifles for law enforcement. Also, each rifle features a RISE advanced flash hider, designed to minimize muzzle flash in low light conditions. “The 300LE features our purpose-built flash hider that we designed specifically for this gun,” Grover said. The four-pronged system eliminates user visible flash, and we came up with a proprietary system for eliminating the annoying ring normally found with this type of flash hider. Built on forged upper and lower receivers, the Watchman 223LE and 300LE utilize an LE145 Tactical Trigger, ambidextrous safety and RISE LE M-LOK handguard. Moreover, a 416R stainless steel barrel and black nitride-coated bolt carrier group, Magpul pistol grip and CTR stock complete the package. Above all, departments are clearly beginning to take notice. Only recently, the Broken Arrow Police Department in Oklahoma picked the Watchman 223LE to outfit its Special Operations Team. 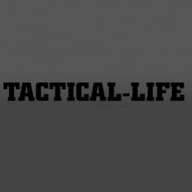 The post VIDEO: Testing RISE Armament’s 300LE Rifle, Designed Strictly for Police appeared first on Tactical Life Gun Magazine: Gun News and Gun Reviews.